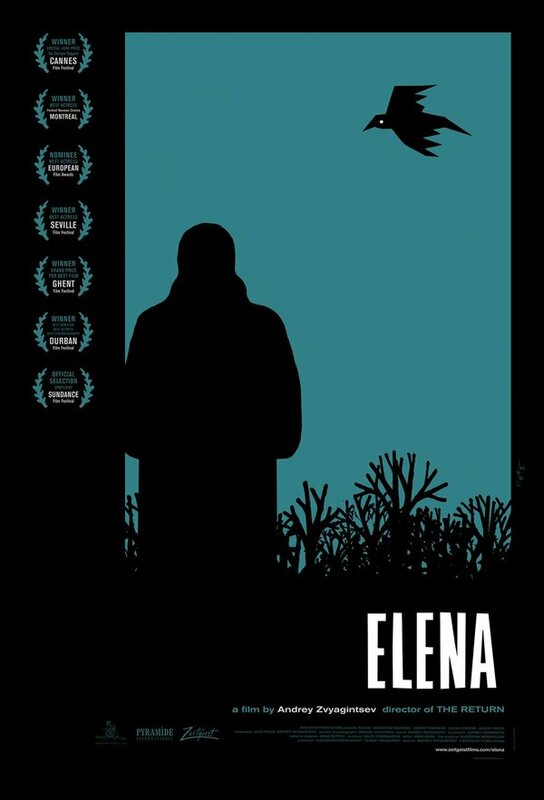 Have a look at this superb post by Adrian Curry about the creative process behind the poster for the US release of Andrei Zvyagintsev’s latest film Elena. It is a gorgeous poster indeed by an incredibly talented artist Sam Smith. Below Adrian’s discussion of Elena Sam picks his top 10 film posters of all time, and what a top 10 it is! I also recommend checking out Sam Smith’s website as some of his work is simply breathtaking. And here’s a lovely video about the printing of Elena’s US poster taken from that post. The film has opened in New York this week. It is a masterful and thought-provoking commentary on class issues in contemporary Russia, with a tense plot and some outstanding acting. It is also a serious improvement on Zvyagintsev’s previous opus The Banishment, which disappointed many a critic and a fan, including myself. Controversially, I’ve enjoyed Elena even more than Zvyaginstev’s hugely acclamied debut The Return. So if you get a chance to catch Elena don’t miss it. Here’s a trailer. Music by Philip Glass.